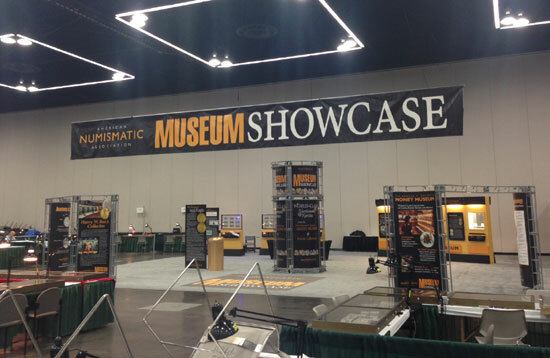 From March 5 to 7 the American Numismatic Association organized their annual spring convention in Portland, Oregon at the Oregon Convention Center. Attended by dealers and collectors from around the country, the convention was buzzing with activity for most of the days it was held. Your author was in attendance as well, and in this brief article we will take a look at the activity and sentiments that were seen and heard around the bourse. The Pacific Northwest is one area of the country where a surprisingly small number of medium and large sized coin shows are held throughout the year. This doesn’t mean that there are not plenty of collectors, and the shows that are held are usually very active with a large number of collectors attending. This show was not an exception, and there was plenty of both wholesale and retail activity, particularly on Thursday and Friday. Several dealers from the East Coast were not able to attend due to the winter storms, and there were a small number of empty tables noted during the show. Besides booths containing a wide variety of items offered for sale by dealers, the United States Mint was in attendance and a museum showcase could be visited, with selections from the collection of the American Numismatic Association on display. Collectors had also assembled displays, which could be visited and showcased a wide variety of collections in all numismatic areas. As with all shows organized by the ANA there were plenty of activities for young collectors, and especially on Saturday there were a large number of boy scouts and families in attendance. Most dealers reported good sales, on both the wholesale and retail level and in all price ranges, and the overall consensus was that it was a good show. Sales appeared particularly strong for collectors with raw coins, giving the appearance that many collectors were searching for lower priced coins, instead of the higher priced certified coins that are often available in large quantities at larger shows such as the Portland ANA. In that category it seemed that the small auction that was organized by Stack’s-Bowers (covered in another article on this website) had a positive effect on sales on the bourse floor. The next national show will be held in Baltimore during the last week of this month. We will see if the positive attitude with which many dealers left to show will continue on the east coast. Of course we will cover the auctions and the show on this website, so keep an eye out for that at the end of this month.